BASF Agriculture acquired Becker Underwood, the largest entomophagous nematode producer in the world, several years ago and integrated it into the organisation as BASF Agricultural solutions. Rob Storer for BASF notes that there is increasing pressure for effective pest and disease control in all fruit and vegetable crops, but there are also more legislative and practical challenges for growers and for slug control significant product losses with which to contend. 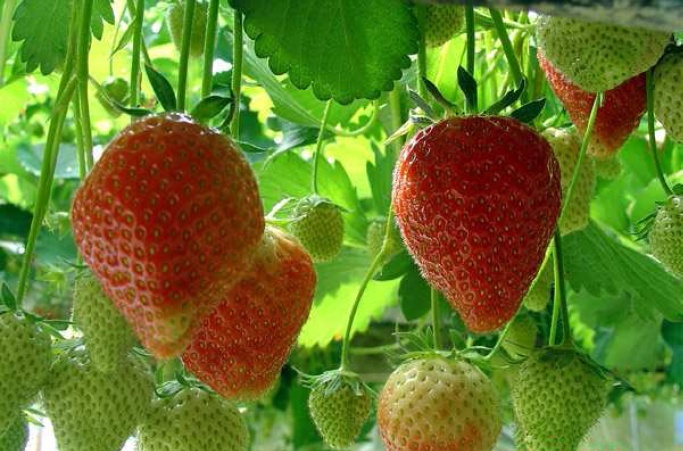 “In speciality crops biologicals are the way forward and will play an important role in fruit such as strawberries and in vegetables. We need effective alternative options such as our Nemasys/Nemaslug range to boost yield and protect quality of these speciality crops. In the last few years we have lost two molluscicides – methiocarb in 2015 and metaldehyde in 2020. Aneeta Gupta of BASF specialities explains thatNemaslug is a revolutionary slug control product, containingthe nematodePhasmarhabditis hermaphroditaformulated in an inert carrier. “It is recommended in all outdoor and protected soft fruit and horticultural crops to control a wide range of slug species,“ she says. “Slugs thrive in cool, wet conditions. They feed and make holes in leaves and fruit making the produce unmarketable. Slugs also leave unsightly slime trails. They are generally easily spotted in the crop and the application window for Nemaslug is normally between March and October. Nemaslug is applied applied as a drench or directly to the cropping area using nozzles producing a medium to coarse spray. Soil temperatures should be between 5°C and 30°C. Applications in direct sunlight should be avoided, with evening application being preferable. Nemaslug applications inundate the soil with millions of juvenile nematodes per hectare. The microscopic nematode actively seeks out slugs immediately, entering the slugs through natural body openings, and releasing bacteria which kill the pest safely and rapidly. Within 3 days Nemaslug stops the slug from feeding and they generally die within 7 days after application. The nematode reproduces inside the dead pest, releasing the next generation of hungry nematodes, which then disperse and search for further prey. Nemaslug benefits fromirrigation to wash the parasitic nematodes into the soil or substrate and it has been successfully applied with drip or boom irrigation systems. It is best to start control early in order to target younger smaller slugs before they do any damage. One application of Nemaslug provides up to 6 weeks of control, longer than other treatments; a second application can follow if slug pressure is high. The area of strawberries grown in the UK has been increasing as this fruit becomes a more regular purchase in the weekly shop. In 2017 4,728 hectares of strawberries were grown in the UK, producing 127,600 tonnes of fruit valued at £283 million, according to Defra. “Biological control of slugs in specialist crops has to be the best way forward and I am sure many growers will be moving towards this method in order to satisfy the exacting market requirements.“ says Rob.